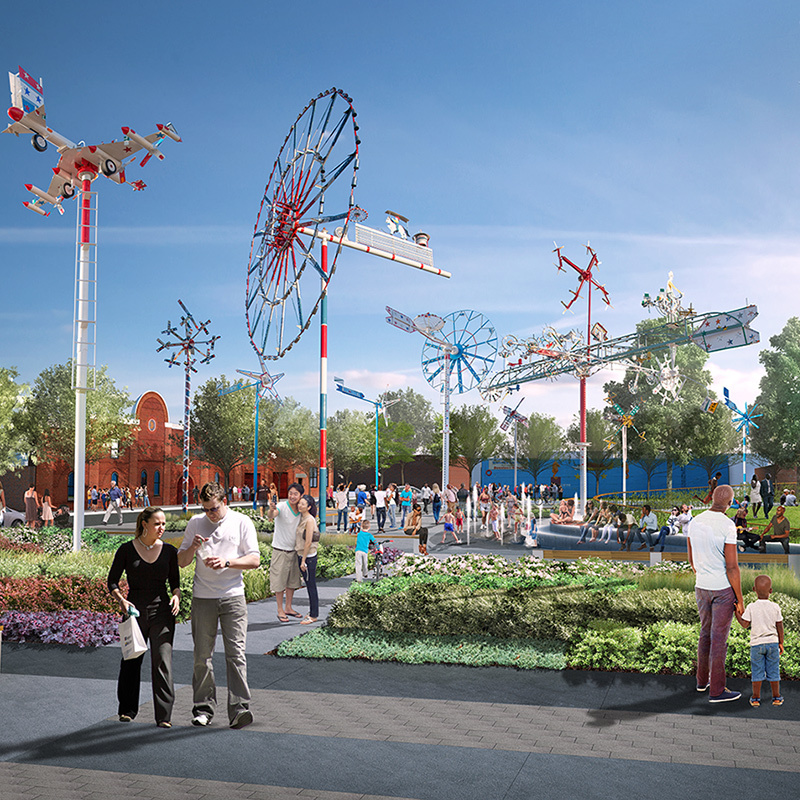 The two-acre park features 30 of Vollis Simpson’s whirligigs—including some of the largest in his life’s work. Visitors will never be at a loss for something to do at the park. A central lawn amphitheater where everything from music to film engages audiences. The park shelter hosts the Wilson Farmers & Artisan Market, educational programs, and family fun activities. Benches, tables and chairs invite picnicking, reading, or just enjoying art and nature. Practice Tai chi, have a picnic or a family reunion, play flashlight tag among the reflective whirligigs—the possibilities are endless! The park is located in Historic Downtown Wilson which is 50 miles from Raleigh, four hours from Asheville, NC, and two short hours from the eastern coast line. The community is served by Interstate I-95, US-301, US-264 and I-795. 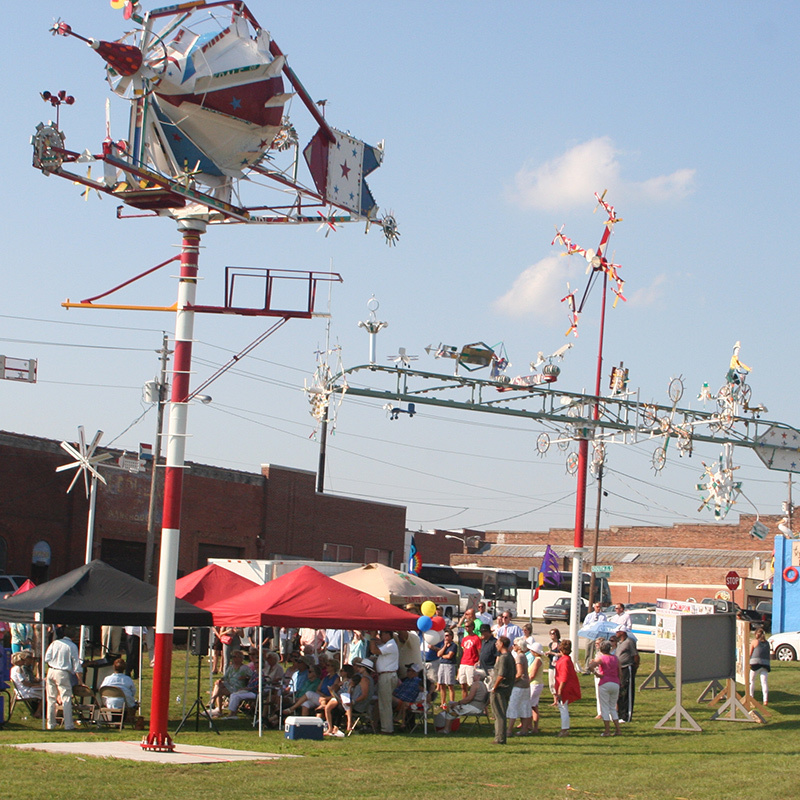 There is free public parking on Goldsboro Street just a little past the Whirligig Park and there is additional parking along Douglas Street. Beginning Spring 2018, the Pavillion will host the Wilson Farmers & Artisian Market every Wednesday and Saturday. Grab food at the Market (Wednesday and Saturday) or a to go order from a restaurant in Historic Downtown Wilson and picnic on the ‘green’ or at one of the tables provided. As the sun goes down start looking for the red stars that are stamped on the pathway around the perimeter of the park. Those are marked for best reflective viewing of Whirligigs. 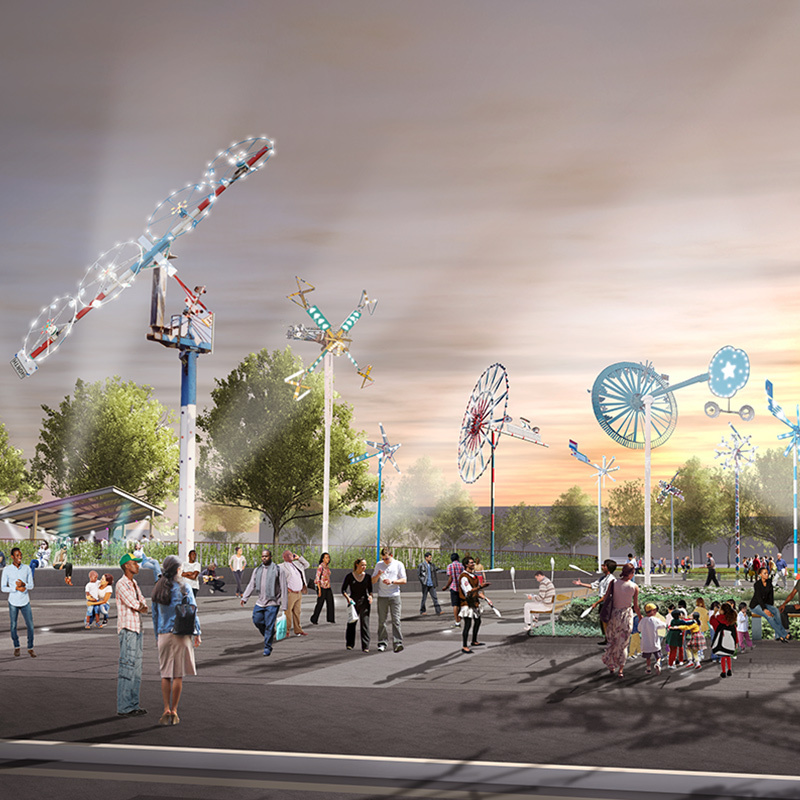 The Vollis Simpson Whirligig Park Project is a partnership of Wilson Downtown Properties, Inc., the City of Wilson, Wilson Downtown Development, and the North Carolina Arts Council.